Have you noticed a number of tiny white bumps across your tongue? Although their discovery may be slightly alarming, most cases of white spots on the tongue are harmless. In a few cases, however, the spots could also be a potential sign of a more serious condition that may require medical attention. 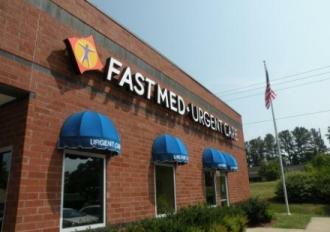 FastMed offers convenient urgent care for all of your basic health needs, including the examination and treatment of white spots on the tongue. Do all white spots on tongue appear in the same way for everyone? Size and shape: Spots may appear as small, uniform dots, or they could be large and irregularly shaped. Location: Spots typically appear on the sides on the tongue and progressively spread towards the middle. Associated symptoms: Spots may grow into a white coating that can cover the entire tongue. The coating has the potential to thicken, change color, and cause bad breath. What can cause white spots on the tongue to appear? Should I see a doctor for the white spots on my tongue? Seek medical attention if the spots are accompanied by additional symptoms, resemble a fungal growth, or if they are present for over two weeks. To further investigate your concerns regarding white spots on the tongue, visit one of the many FastMed Urgent Care locations.